Evaluated as espresso. Richly sweet, balanced, floral-toned. Dried jasmine, Concord grape, fine musk, mango, tangerine zest in aroma and small cup. Lively, silky-smooth mouthfeel; resonant, flavor-saturated finish. In cappuccino-scaled milk, jasmine and mango notes are further amplified, deepened by pungent musk underneath. This exceptional coffee was selected as the No. 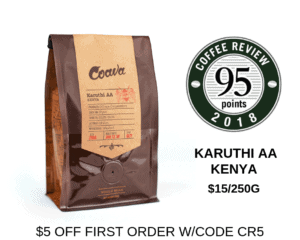 15 coffee on Coffee Review’s list of the Top 30 Coffees of 2018. Yirgacheffe is a coffee region in southern Ethiopia that produces distinctive coffees from traditional varieties of Arabica long grown in the region. Yirgacheffe coffees like this one processed by the wet or washed method (fruit skin and pulp are removed before drying) typically express great aromatic complexity and intensity with a particular emphasis on floral notes. Almost all Yirgacheffe coffees are produced by villagers on small, garden plots interplanted with food and other subsistence crops. JBC Coffee Roasters’ vision is simple: “let the coffee lead the way” through sourcing and roasting the best and most unique coffees available and rewarding the farmers who grow those coffees with substantial premiums. Visit www.jbccoffeeroasters.com or call 608-256-5282 for more information. 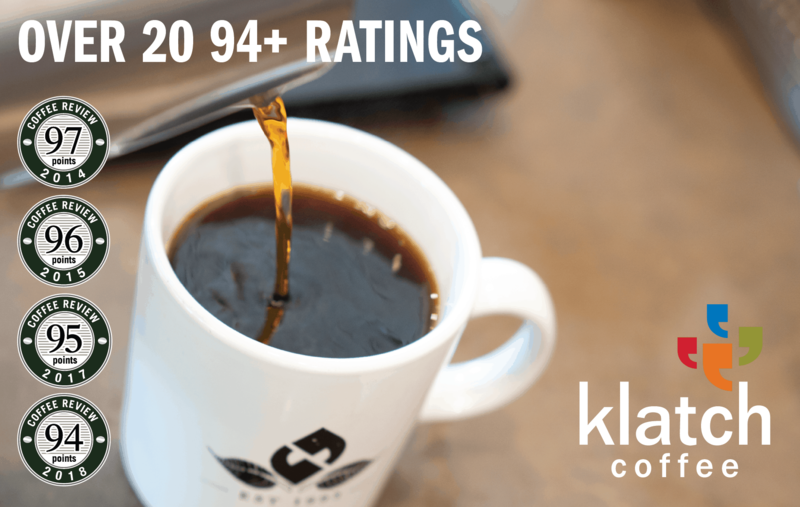 The Bottom Line: A nuanced, richly layered Yirgacheffe espresso with bold fruit and floral tones complicated by hints of fine musk throughout both the straight shot and in milk.